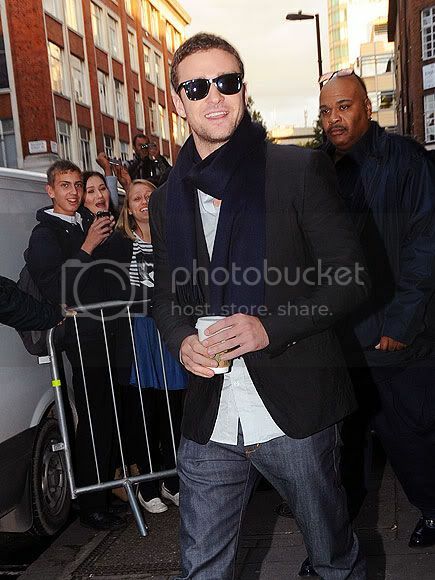 Justin Timberlake promoted his newest action flick, In Time - at the BBC radio studios yesterday in London. He was fully prepared and caffeinated with coffee in hand! Now, that's what I'm talking about!